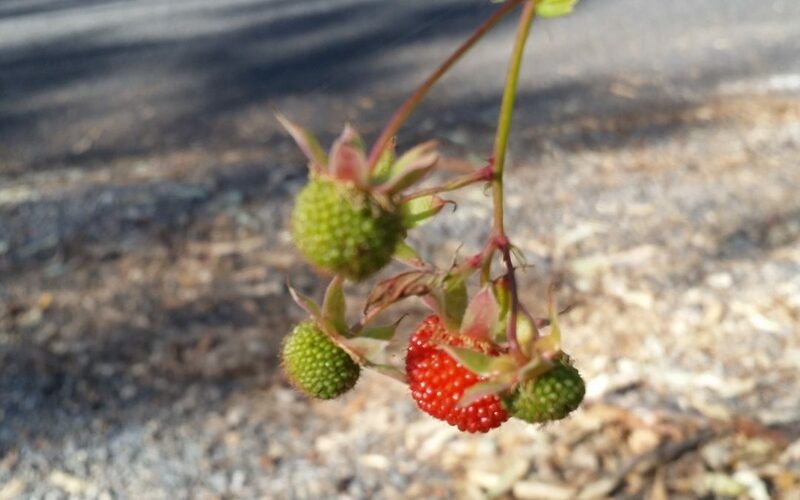 Native Raspberries have been a favourite of ours since we first discovered them by a creek in the Brisbane suburb of The Gap some years ago. Since then we have grown or harvested them wherever we have been, and made Raspberry Couli, and Jam, as well as eaten them fresh. We have Rubus probus planted and growing in a number of places here at Arborlon. By the roadside in pots at our driveway entrance, and also in the Raspberry Patch within the Callistemon Garden. 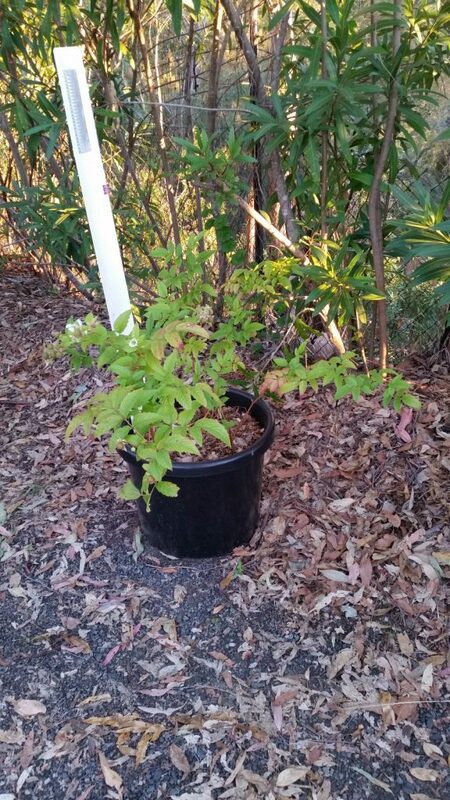 Large-fruited native raspberry – Rubus probus – growing in a pot on our driveway. We also have Rubus moluccanus growing in a large number of places wild and naturally. We are training these in places to maximise harvest, but to also regenerate some bush habitat for the local native birds. This native raspberry occurs naturally here and is often entwined and matted with the Lantana that fills the gullys across our property. These raspberries are the first of the season, and we hope to harvest a lot more, and next year we should have a bumper crop.